Oakland, CA - The African People’s Education and Defense Fund (APEDF) has joined #GivingTuesday, a global day of giving that harnesses the collective power of individuals, communities and organizations to encourage philanthropy and to celebrate giving worldwide. APEDF is raising funds for the Uhuru Jiko Community Kitchen and is calling on people to give generously to a goal of $60,000 and also to aid in the search for a location for the kitchen in Oakland, CA. 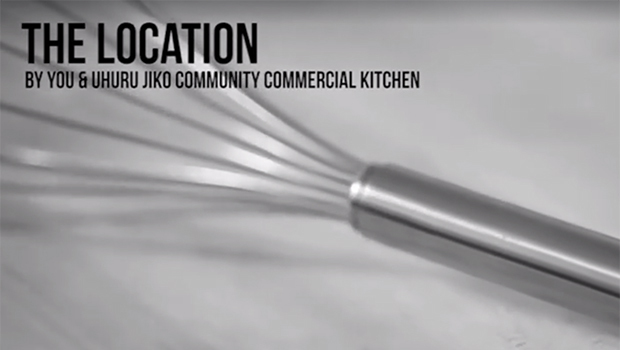 “Jiko” is the Swahili word for cooking space or kitchen. Uhuru Jiko is an institution that will begin to overturn the unemployment, poverty and hunger in the black or African community of Oakland. While Oakland is celebrating the 50th anniversary of the birthplace of the Black Panther Party, the city’s African population has been forced out due to increasingly high rents and lack of access to tech sector jobs. Uhuru Jiko will be the home of Uhuru Foods & Pies, the African Independence Workforce program and the home of community based businesses. Those interested in joining the African People’s Education and Defense Fund’s #GivingTuesday initiative can visit www.uhurujiko.org or visit http://tinyurl.com/zlxh4lm to spread the word.